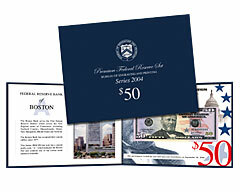 2004 $50 Premium Federal Reserve Sets Only 2 Sets available. 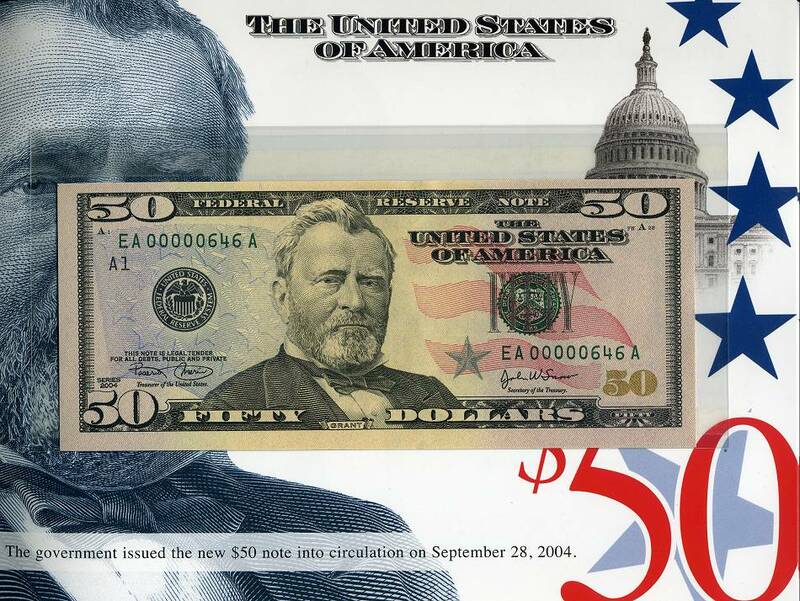 These exclusive sets, for the first time ever, features crisp uncirculated Series 2004 $50 notes with MATCHING LOW SERIAL NUMBERS. This is a limited edition set – only 500 worldwide were printed and sold by the BEP. 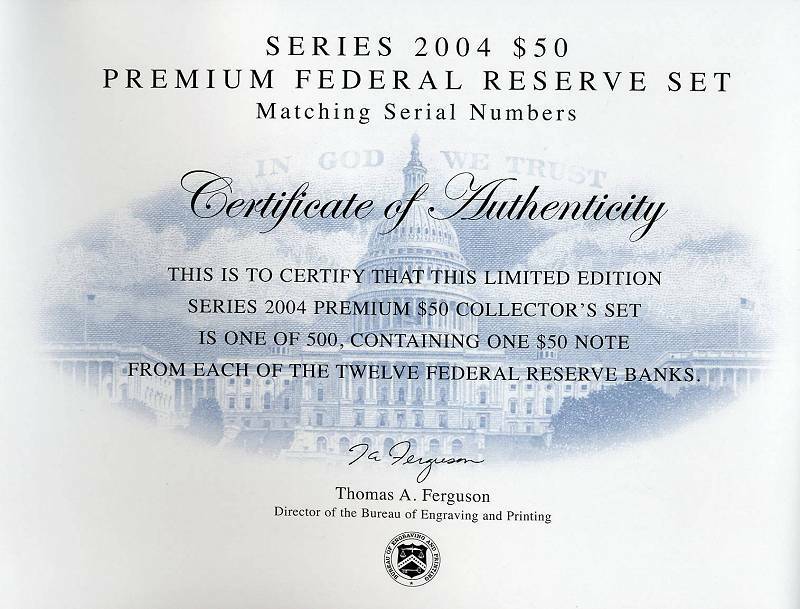 There a collection of 12 Series 2004 notes, one from each of the 12 Federal Reserve Banks. Serial Numbers started a number 351 and continued thru 851. These Sets Sold Out within one hour at the BEP! !